Vocalion 1082, Recorded in Chicago, 1926. 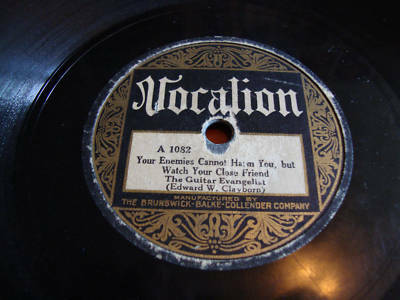 Now sops in the dish with Me"
Note that on the original 1926 label for Vocalion 1082, the title is incorrectly given as "Your Enemies [sic] Cannot Harm You, but Watch Your Close Friend" and the name of the singer is incorrectly given as "The Guitar Evangelist (Rev. 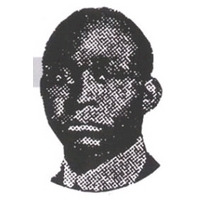 Edward W. Clayborn)." These are label errors, which were common occurrences in the record industry at that time. In fact, Rev. Clayborn uses only the word "Enemy" (singular) throughout the song, and, of course, his proper name is Rev. Edward W. Clayborn, so his descriptive nickname -- The Guitar Evangelist -- should have been in parentheses, not the other way around.